The spiral is universally accepted across cultures to represent growth and evolution, the transformation of form and essence. 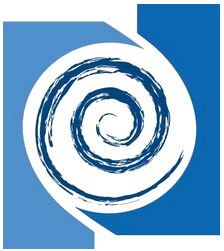 Traveling along the spiral, you reach the same points with each round, but at a different level, and with a different perspective. To provide high-quality consulting services to our clients in support of their ultimate goals and objectives. Ocean Bay offers innovative approaches and solutions within established and emerging markets and offers our clients access to credible professionals with the experience and capacity to satisfy their most demanding requirements. We are proud of our reputation for excellence: a reputation based on our commitment to the highest ethical standards. At Ocean Bay, our relationships with shareholders, employees, customers, and business partners must rest on a foundation of integrity and trust. Our success is dependent on each individual's commitment to these enduring values and not one single success is worth the expense of compromising ethical behavior. 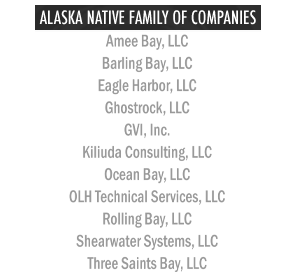 Ocean Bay supports the members of the Native Alaskan community that we represent by helping to provide employment opportunities and economic dividends. We also participate in and develop initiatives to support the local communities where we operate and work. We are an organization of people who value each other and who treat each other and their customers with the respect they deserve. Ocean Bay is committed to creating and fostering a work environment in which employees continually demonstrate that they respect opinions, attitudes, attributes, and feelings of anyone with whom they come in contact during their daily work. At Ocean Bay, we believe that our employees are our #1 asset.